Julie Adams and Trudi Thorpe met at a dog-friendly café fifteen years ago when both were out walking with their canine companions. They discovered their mutual passion for dogs over coffee and in partnership, have been dog trainers in Sydney ever since. Memberships: The Karen Pryor Academy, Foundation Member -The Pet Professional Guild Australia, Association of Animal Behavior Professionals, Delta Institute, Association of Pet Dog Trainers Australia, The Australian Shepherd Association of NSW, The Border Collie Club NSW, The Illawarra Collie & Shetland Sheepdog Club. Trudi’s obsession with dogs started at the age of 11 and she has been conformation showing , competition trialling, breeding and dog training since the age of 13. Ultimately, it was a natural step to turn this keen obsession into a career. She has a great passion for behaviour in general – both canine and human – and has studied it at great length. She is a Certified Training Partner with the Karen Pryor Academy, a Certified Dog Trainer with The Association of Animal Professionals and an Accredited Delta CGC Instructor and Assessor having completed the Certificate IV in Companion Animal Services. She has developed and delivers a number of different courses in dog behaviour at both Bankstown & Campbelltown TAFE. 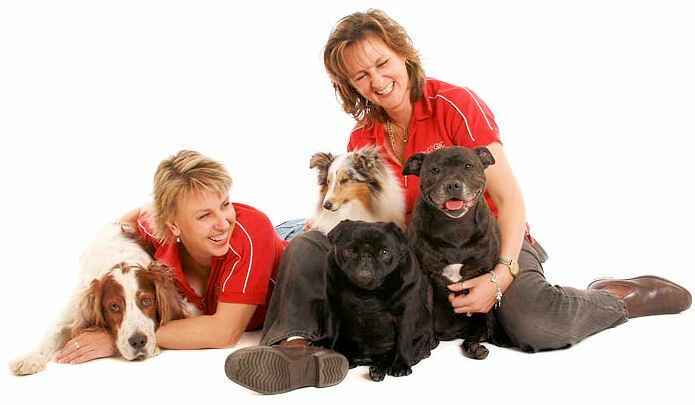 Apart from dogLOGIC, she also writes a regular behavioural column for Gardening Australia Magazine, is an instructor at the Leichhardt Dog Training Club and is actively involved in agility, rally-o and obedience with her 4 dogs, Maverick, Bean, Atlas and Ryker. Memberships: The Karen Pryor Academy, Foundation Member -The Pet Professional Guild Australia, Association of Animal Behavior Professionals, Delta Institute, Association of Pet Dog Trainers Australia, The Australian Shepherd Association of NSW. Julie started off with a passion for horses, riding at the local Pony Club at the age of 6 and this passion soon encompassed dogs as well. Her enthusiasm for dog training began over 10 years ago. During this time she has become active in both obedience and agility, and is currently an instructor and on the Committee for the Leichhardt Dog Training Club. Her animal family consists of 2 Australian Shepherds, Tanner and Tuscan. She is a Certified Training Partner with the Karen Pryor Academy, a Certified Dog Trainer with The Association of Animal Professionals and an Accredited Delta CGC Instructor and Assessor having completed the Certificate IV in Companion Animal Services. Her study of canine behaviour is ongoing and passionate and she has developed and delivers a number of different courses in dog behaviour at Bankstown TAFE..